Gates, NY (April 10, 2019) – Police have now provided further information concerning a motor vehicle accident that resulted in injuries on Tuesday afternoon, April 9th. According to authorities, the collision was a result of a high-speed police chase that started shortly after 12:00 p.m. on Fulton Avenue and ended at the intersection of Buffalo Road and Howard Road. According to police, the chase started after two 15-year-old suspects stole a vehicle from a 72-year-old woman and were then spotted by officers. Police chased the suspects for several miles before the driver of the stolen car crashed into another vehicle at the aforementioned intersection. Emergency medical crews were immediately called to the crash site in order to assist any injured parties. Authorities confirmed that one party in the other vehicle sustained at least minor injuries and was quickly taken to a nearby hospital for treatment. Neither one of the two suspects was reported to have suffered any injuries but both were taken into custody and are now facing numerous charges. Before anything else, we would first like to extend our sympathies to the injured victim, as we preserve our highest hopes for their full recoveries. 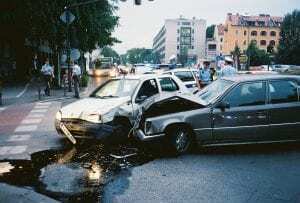 Following a serious New York car accident, it can be very difficult but it is extremely important to understand that you may have significant rights moving forward, especially in the event that you are not to blame for your injuries.